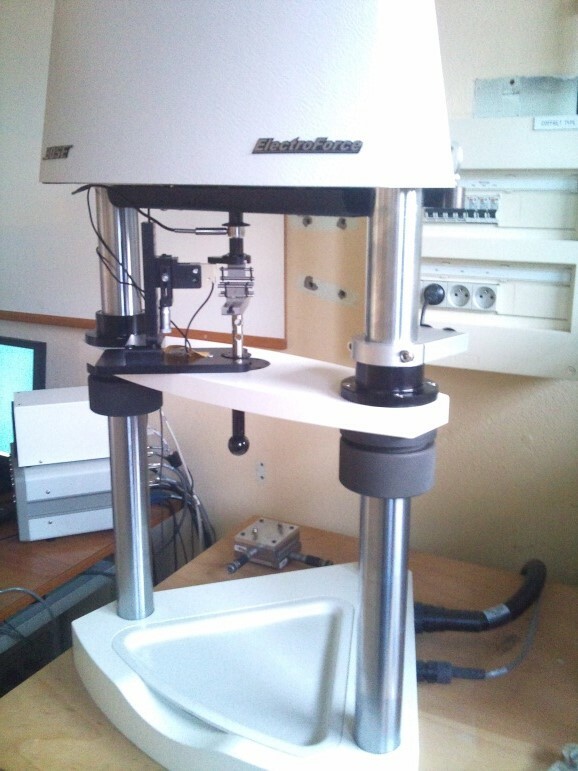 The BOSE EF3200 multi-test machine enables us to carry out low-load mechanical tests with great precision. It is equipped with two load cells (20N and 200N) and two displacement sensors (LVDT and high resolution capacitive), as well as a thermal reservoir for liquid environment testing and a thermo-regulated steriliser (-150°C to +350°C). Loading is static or dynamic (DMA modulus).